Even when my daughter Amy was little I enjoyed spending time reading together with her. 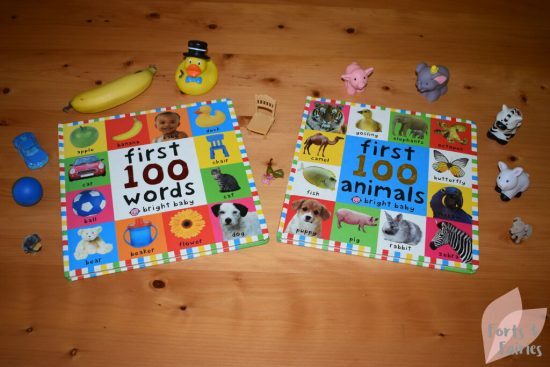 We spent so many hours sitting on my bed looking at the ‘My first 100 words’ and ‘My first 100 animals’ large board books. These are some of my favourite memories from those early months, and I can still remember how proud and excited I was when she first started pointing to the correct pictures in the books, and then eventually saying the words too. I don’t think I set out to build a collection of Priddy Books on her book shelf, but I really love the bright, colourful books that are available in this range. I soon found out that she absolutely loved the lift-the-flap books too (she still does!) so our collection grew even more. 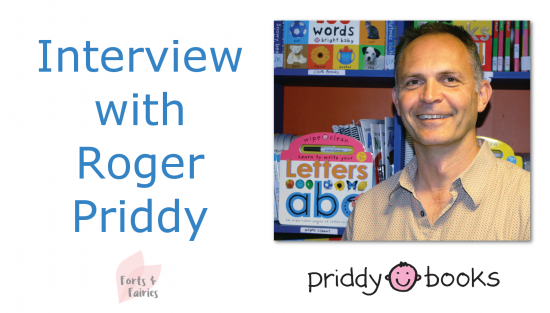 As you can imagine I was thrilled to discover that Roger Priddy was in South Africa for Pan Macmillan’s Children’s Book Conference, and I was so fortunate to have the opportunity to do this interview with him. When I asked Amy what questions she’d like me to ask Priddy, she said she’d just like to say ‘thank you.’ Kids are so amazing, they continue to surprise me every day! I hope you enjoy finding out a bit more about the incredible publisher Priddy Books and that you’ll check out their amazing range for your children. I know you will love them as much as we have! You can find out more about their line-up for 2018 here and stand the chance to win the awesome My Big Book of South African Animals. What’s your favourite thing about creating children’s books that children the world over are enjoying and learning from? My favourite thing about creating a children’s book is seeing it in their hands, using it and learning something from it – that makes it all worthwhile. What part of the book creation process do you enjoy the most? Text, illustrations, or concept development etc. We have a very seamless creative process at Priddy Books. From development of the concept to text to design to production to sales, they are all as important as the other and I think that is one of the reasons for our success. Talking to the sales team, booksellers and parents before we even start usually means that we are making something that we know people want. The rest is the easy bit, coming up with the ideas and concept is a bit like doing a jigsaw puzzle – you just have to fit the right pieces together. It’s my favourite part of the process personally, going from a blank piece of paper to the concept for a book is a pretty cool thing to do, so I am very lucky. But then as we shape the project, budgets and time scales have impacts on what you produce so you have to be clever with the manufacturing process to get as much as you can into the book but making sure that it is still a price low enough for all to enjoy. We are also always trying to come up with different ways of presenting the same subjects – first words, colours etc. Trying to include different novelties can sometimes help to engage the child and make it different from all the other books out there. To be honest the design and editorial side of making our books is often the easy bit, although I’m sure the designers and editors will tell you otherwise! There are a few books set in Playtown, do you have any plans to create another unique area like this, for example space? 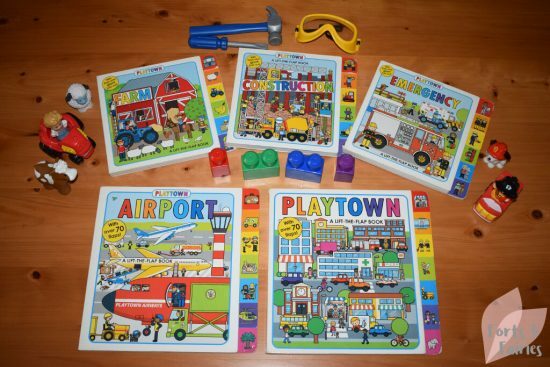 We don’t have anymore plans for future Playtown titles but creating a unique world or environment is something that we are looking at for the future, I think children (and their parents) like things that are familiar. I love how interactive your books are, whether that’s with lift-the-flaps or touch-and-feel, do you have any other ideas for new interactive elements that you’re working on? We are always looking for new ideas and ways of using new novelties in our books, both to engage the child but also as I said before to make them different from all the others. A book can only become great if people pick it up and buy it in a bookstore, so being able to stand out and have a unique selling point is very important. The new “What’s in my…” series looks absolutely amazing. How excited are you to get these new books into kiddies’ hands? I know my children are going to love exploring them. The “What’s in my…” series has been a lot of fun to work on and I think that comes across in the finished books. They are also tough books with great novelties so I think that they will stand up to a some wear and tear too. Look out for “Where does pig live?” too – these are based on the simple type of books that I loved as a kid, simple novelties, simple story and a bit of hide and seek thrown in. In the new digital era, how do you get attention for your books and compete against devices, phones and TVs. Great design, content and a reputation for producing great books for babies and toddlers is all we do. So long as the book buyers continue to love our books they will put them on the shelves to be reached by all. Our books also work very well online as they have very strong covers I think. 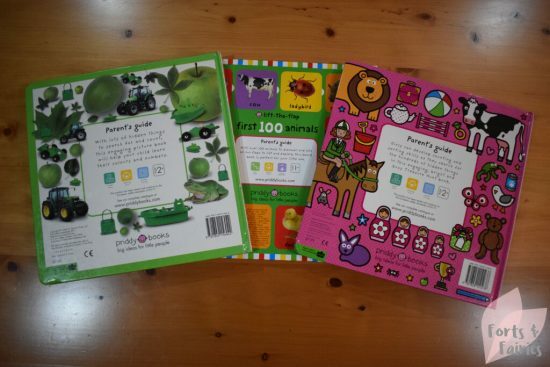 I love how each Priddy Books includes symbols to show parents what skills the books are encouraging children to develop. What gave you this idea and do you think it sets you apart from other publishers? The idea was to try and give as much help to the parent/carer as possible when they are trying to decide what is best for their child. It also makes us think harder about what a child will benefit from owning one of our books. I think other publishers have also started to add the same thing which is good for the book buyers, but to be honest I don’t really look at what the others are doing, I just concentrate on making our books the best. Your children must love reading your new books, how much of an inspiration are they to you in the creative process, and do you run any of your new ideas past them? They were the inspiration for a lot of the ideas for many of the books, but as a father I also had to earn money to look after them, so I am well aware that you make money by making and selling great books, so that was a driving factor too. As they are now 30, 27 and 13 they are not so interested as they were. 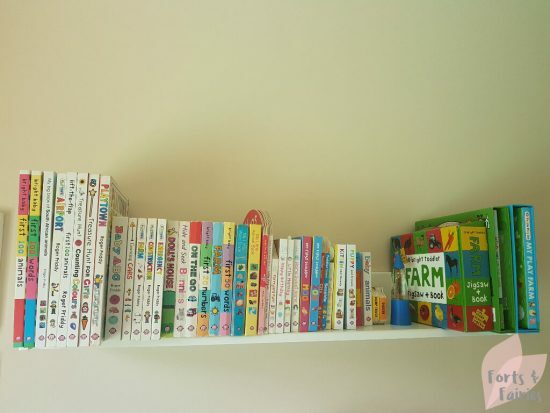 Although my eldest son Sam is a senior editor working in Children’s books, my daughter Rose is a designer, and the youngest Gabriel says he wants to take over Priddy Books when I’m finished – so hopefully the books may have helped a bit. You worked in the children’s book industry for many years. What made you want to establish your own publishing house and do you remember your first book? I wanted to make some money for me rather than other people! Well whilst that was a key reason, I also just wanted to do my own thing, it got very frustrating having to show new ideas to teams of people to get approval when I thought that I knew best (I didn’t but I probably knew a little more than most). But I was very lucky that I learnt from the best – first I learnt about how important the text and explanation of something was from Peter Usborne and then I learnt how important design was to put all that together in a visual way under Peter Kindersley at DK. Also Peter K was a designer and before him I’d never met a boss that didn’t come from sales or editorial so that made me think that maybe I could do it myself. But I couldn’t have started it without the other four guys who had expertise in other areas that I didn’t have then, to start a new business in a crowded sector like Children’s books you need all the elements to work hard together. I remember making our first books rather than one title, we worked on 27 books almost all at once, there were some very long days and nights back then. Did you have any idea when you founded Priddy Books in 2000 that you would one day go on to sell over 100 million books around the world in over 35 languages. Thanks to Roger Priddy for taking the time to answer my questions, and to Pan Macmillan South Africa for facilitating the interview. We hope to see you back in South Africa soon, and we can’t wait to read the new range of Priddy Books that are coming out this year. They are brilliant books and at a great price. Well done to him for growing his business so quickly and establishing a reputation. I didn’t know that it was only started in 2000! They are priced really well, and I love the innovative and fun titles they publish. He has done remarkably well to grow Priddy Books into what it is today. Thanks for stopping by Sarah!